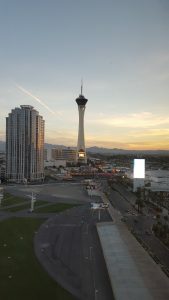 Our team is back from Ariba Live in beautiful Las Vegas, Nevada. We spent a few days at the Cosmopolitan meeting with the over 3000 people in attendance. Ariba Live is one of the largest e-Procurement centered conferences in the world. It draws everyone from procurement directors to supply chain analysts to consultants that install and integrate Ariba. Ariba Live kicked off with a welcome reception in the main hall at the Cosmopolitan. It was great to connect with existing colleagues and meet some new ones. The first full day started with a general session that included many Ariba users and employees. Ariba demoed a number of new features and layed out a roadmap of what’s coming. Most of the afternoon was dedicated to numerous training and breakout sessions covering everything from Ariba supplier management to Spot Buy to general networking sessions. One of the more interesting sessions was the Ariba Spot Buy program which allows suppliers direct access to buying organizations without a trading relationship. We’re excited that a few of our own clients are on the pilot program that is poised for huge growth. The day wrapped up with a late night that transformed the general session area into a music hall. 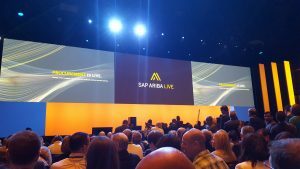 The final day continued with another general session that included some more hot topics in the procurement world, including some thoughts by SAP’s leadership team. The afternoon was filled with many more sessions and a Women in Leadership luncheon. Our team enjoyed attending Ariba Live and helping fulfill Ariba’s dream of making procurement awesome. If you are looking for supplier enablement including punchout catalogs and supplier PO and Invoicing, don’t be afraid to request more information about our e-Procurement Buyer Services.